The Colosseum stands tall in the heart of Rome, Italy. While now a ruin, the structure represents both the glory and the cruelty that was once ancient Rome. 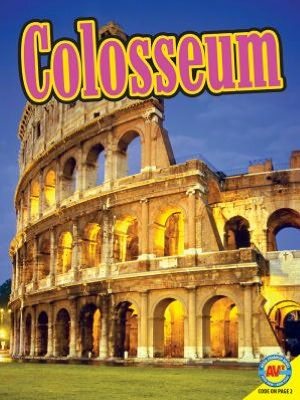 Find out more about this impressive structure in Colosseum, part of Weigl’s Virtual Field Trip series. This is an AV2 media enhanced book. A unique book code printed on page 2 unlocks multimedia content. This book comes alive with video, audio, weblinks, slide shows, activities, hands-on experiments, and much more.